A new course offered by UC Santa Cruz’s Economics Department teaches non-economics majors how economics applies to everyday life. Julie Gonzalez, an expert in political economics and policy, instructed Economics 20: Economic Principles for Non-Majors, a new course offered through the Economics Department that taught students from all disciplines the central insights of economics. Photos by Melissa De Witte. “This needs to be a required class,” said Samantha Duskie, a Legal Studies major who took Economics 20: Economic Principles for Non-Majors in fall quarter, 2017. The class was a new course offered through the Economics Department at UC Santa Cruz that taught students from all disciplines central insights of economics. “This needs to be a required class,” said Samantha Duskie, a Legal Studies major who took Economics 20: Economic Principles for Non-Majors in fall quarter, 2017. The class was a new course offered through the Economics Department at UC Santa Cruz that taught students from all disciplines the central insights of economics. In the class, students examined how problems can be addressed through an economics perspective. Some of the many questions Duskie and her cohort explored included why isn’t the whole world developed? What is the “right” amount for a public good? How can the tragedy of the commons be solved? Will free trade cause me to lose my job? “The class links to issues and topics I didn’t even think were related,” added Duskie, a sophomore associated with Stevenson College. The course was the brainchild of alum George S. Cary (economics ’73, Stevenson), an antitrust lawyer who has facilitated some of the largest corporate mergers in U.S. history. He credits his background in economics for his achievements in business and policy. Why should only economics majors learn such invaluable pieces of information, the accomplished lawyer asked Carl Walsh, a distinguished professor in the Economics Department. Walsh is one of the world’s premiere researchers in the fields of monetary theory and monetary policy and has taught introductory macroeconomics to thousands of UCSC students. Walsh saw the benefit of teaching students from other disciplines the applicability of economics to their lives and career. For example, a politics major would benefit from knowing the effects of fiscal policy and tax regulation and an environmental studies student could find value in understanding how economic incentives can help or hinder the environment. Thanks to Cary and Walsh, the idea of Economic Principles for Non-Majors was born. Now in its second year, the demand for the course has been strong. 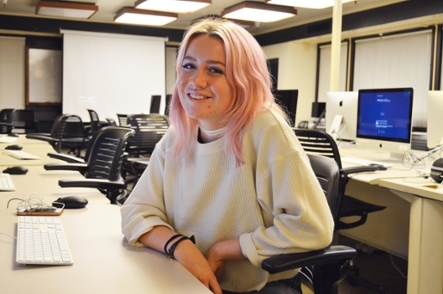 In fall quarter, the class attracted almost a hundred students and attendance rates were unusually high for lectures that large–all positive indicators that this was a class students wanted to attend. 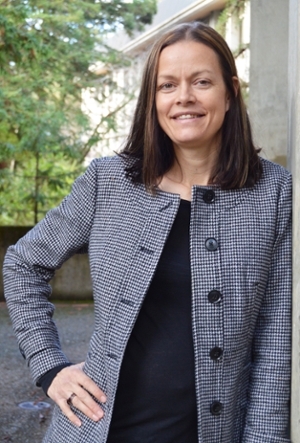 While Walsh developed the course and closely oversaw the formal approval process, instructing it was Julie Gonzalez, an expert in political economics and policy. Under Gonzalez’s stewardship, complex economic topics were brought to life. “All things are economic in nature,” said Gonzalez, who integrated case studies, current events, and even interactive video games to demonstrate the many ways economics is integrated into society. While students examined larger social issues, they also spent time looking at how these problems impact decisions in their own lives: what makes their commute so long, why certain groceries cost more than others, and what contributes to their rent being so high? “I’m learning life lessons,” said Samuel Hopson, an astrophysics major (’20, Stevenson) currently enrolled in the course. “It’s also a fun class,” added Hopson’s friend and fellow classmate, Austin Grasty (physics ’20, Porter). Economics 20: Economic Principles for Non-Majors will be taught again in Fall 2018.